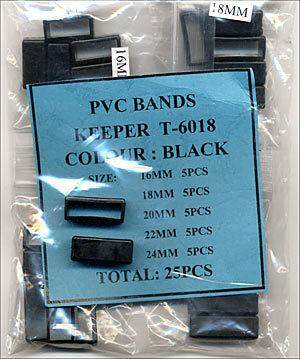 Brand new multi-color 18 mm nylon band; very stylish with patriotic red, white, and blue. 10 inches in length. 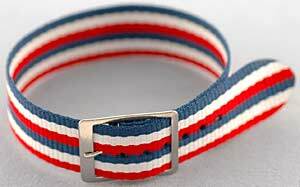 5 Stripes. Available in Stainless Steel or Gold Plated Buckle. 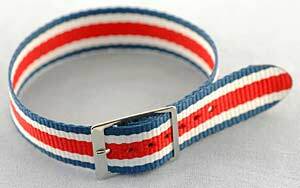 Brand new multi-color 18 mm nylon band; very stylish with patriotic red, white, and blue. 10 inches in length. 6 Stripes.